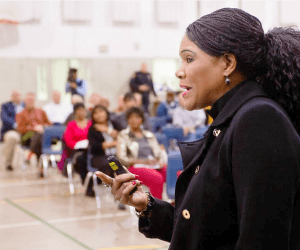 District 3 City Councilwoman Kasha Williams has scheduled a Town Meeting in partnership with Shandreka “Shan” Bauer, Longview Independent School District Trustee for Place 5. Set for 6 p.m., Tuesday, August 22, at Broughton Recreation Center, 801 S. Martin Luther King Jr. Blvd., the dual-purpose meeting will include opportunities to discuss issues related to the City of Longview or Longview ISD. Town Meetings are an excellent opportunity for citizens and council members to discuss issues facing the community within a casual setting. All residents are encouraged to attend and share concerns, comments and ideas. For more information please call (903) 237-1021.